When it comes to breakfast ideas for the boys I have to admit, I am often a little bit stuck for ideas. My children tend to be quite like me when it comes to eating in the morning - basically just not keen on the idea! I've always struggled to force myself to eat before lunch time, and I'm really keen for my boys not to fall into the same habits so I'm always trying to find new breakfast ideas to tempt them with - we've tried so many different cereals, toast spreads, pancakes, waffles and so on but their favourite always seems to be eggs! I remember something that my mum called "chucky eggs" being my own favourite breakfast as a child (Does anyone else remember those?! They were basically just hard boiled eggs mashed up in a mug!) but my boys seem to prefer a traditional boiled egg and soldiers. Up until recently I'd always given them hard boiled eggs, but they were always keen to try the "dippy eggs" that I usually have with a lovely runny golden yolk that oozes when you dip your soft buttery toast in...I can't blame them, you really can't beat a dippy egg! 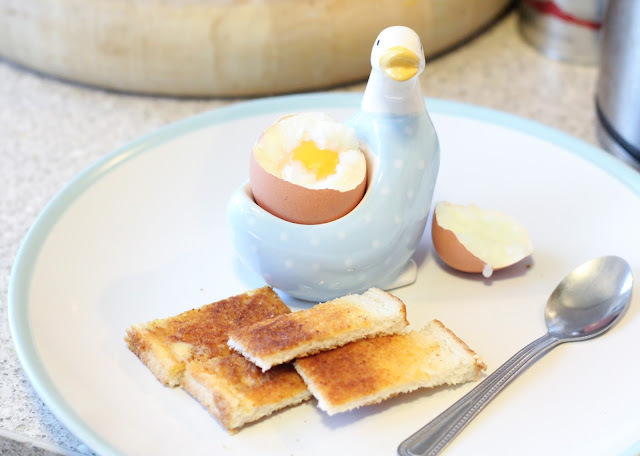 However for the first time since the 1980s, dippy eggs are now back on the menu for babies and pregnant women as long as they have the British Lion Mark on the shell and box. The Food Standards Agency has changed its advice on runny eggs for vulnerable groups such as infants, children, pregnant women and elderly people following a year-long risk assessment by the Advisory Committee on the Microbiological Safety of Food. These groups can now enjoy the nutritional benefits of eggs, without having to fully cook them, as a result of extensive food safety measures introduced within the British Lion Code of Practice since its launch in 1998. 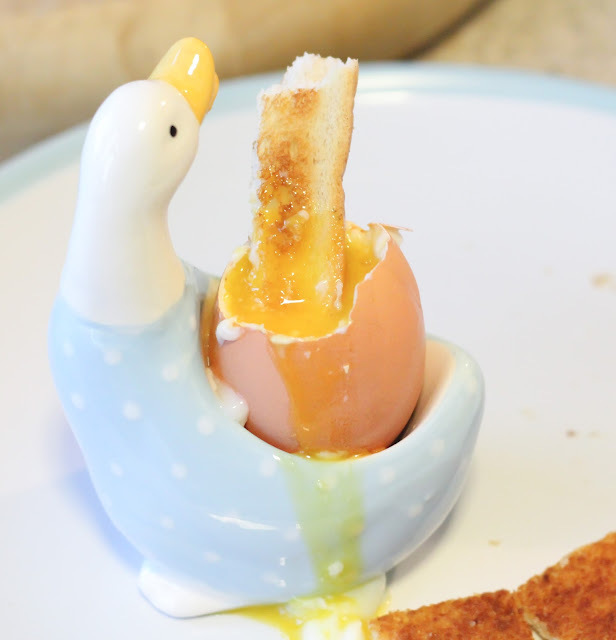 The boys are really enjoying their dippy egg breakfasts, and I'm glad to say they've really helped to get them interested in eating in the mornings! If you're interested to see what my boys tend to eat in a typical day then take a look at my video below.